Every city has its lovably quirky landmark; whether it’s the Leaning Tower of Pisa, that peeing baby statue in Brussels, Chicago’s weirdly fascinating Bean, or those Instagram-worthy rocks in Stonehenge, these must-see attractions give their cities colorful character and pizazz. Luckily, San Francisco has a special gem of its own – Beach Blanket Babylon, the world’s longest-running musical revue, which has been delighting Bay Area locals and tourists for over 40 years in its nightclub home at Club Fugazi. These eye-popping, gravity-defying outfits are worth the price of admission. Steve Silver, creator and original producer of Beach Blanket Babylon, is hailed by many as a creative genius. While he sadly passed away in 1995, his inspiring exuberance and philanthropy lives on with Beach Blanket Babylon, now produced by his wife Jo Schuman Silver. 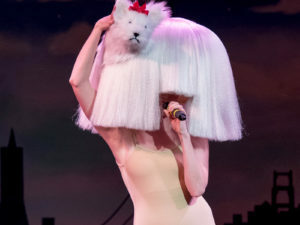 The show’s infectious joy has been celebrated by many throughout several decades, with legendary figures such as Sidney Poitier, Liza Minnelli, George Lucas, Queen Elizabeth, and Clive Davis making notable visits over the years. 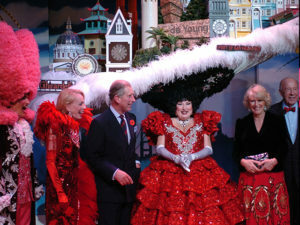 The Royal Family visiting Beach Blanket Babylon. 3. It’s a love letter to San Francisco. While Beach Blanket Babylon may have the crowd-pleasing flashiness of a tourist attraction, its local affection is undeniable. 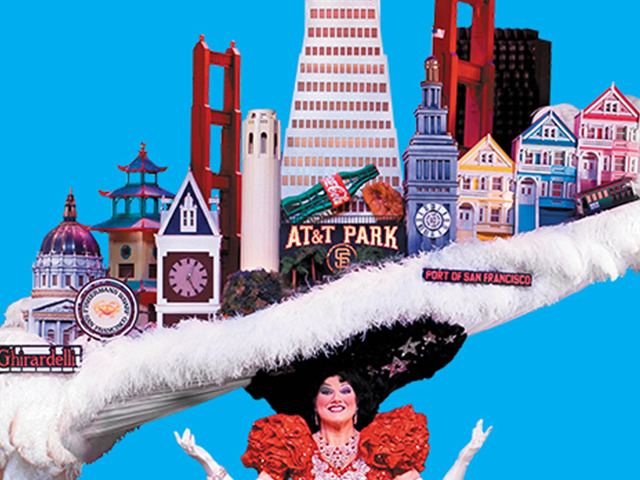 With San Francisco in-jokes and a showstopping appearance by the entire San Francisco skyline as the centerpiece of the show’s finale, Beach Blanket Babylon is a love letter to its hometown, which creator Steve Silver often referred to as the greatest city in the world. Beach Blanket Babylon uses its global voice for good. 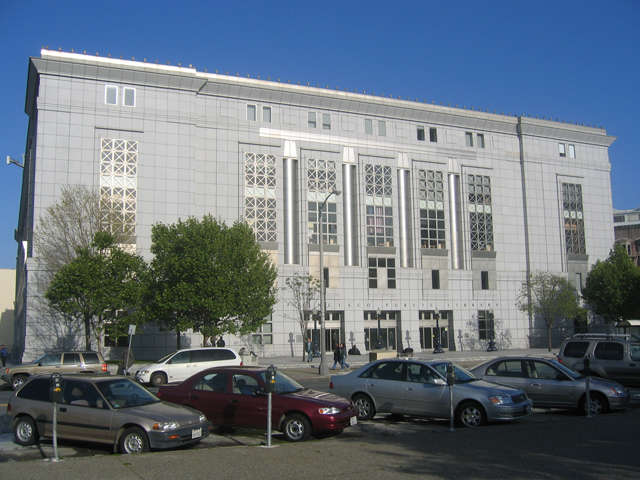 In philanthropic efforts spearheaded by Steve Silver and carried on by Jo Schuman Silver and the rest of the production team, BBB’s charity work has made a positive impact for many important causes, offers annual scholarships to high school students, and funded a Music Center in the San Francisco Public Library. Steve Silver/Beach Blanket Babylon Music Center. 5. It makes everyone laugh. Not many pieces of art have the ability to bring people together from all over the world and make them laugh. With its irreverent and flamboyant pop culture-based topics, Beach Blanket Babylon has the rare ability to charm theatergoers of all nationalities, backgrounds, and political views, with its subversive yet inoffensive and playful style. Beach Blanket Babylon lets diverse audiences share a memorable experience that reminds us not to take life too seriously. So thanks, Beach Blanket Babylon, for spreading the love in San Francisco. Want to see more? Get tickets to a performance this week.